Acting royalty will be descending on London's Savoy Theatre in the spring, with the news that Hollywood legend Danny DeVito will be treading the boards alongside the Olivier-award winning Richard Griffiths in a revival of Neil Simon's classic comedy The Sunshine Boys. DeVito's credits are too numerous to list but despite a huge number of hits as actor, producer and/or director, including (as actor) Taxi, One Flew Over the Cuckoo's Nest, Romancing the Stone and L.A. Confidential, this will be the American's West End debut. Behind the camera, DeVito has produced Zach Braff's indie hit Garden State and the Academy Award-winning Erin Brokovich, plus many other production and directing credits. He's a proper star. But The Sunshine Boys, Simon's comic tale of two former Vaudeville comedians reunited for a one-off TV special, has dual lead roles and joining Danny DeVito is the towering theatrical presence of Richard Griffiths. The Yorkshireman is best known for his turns in Withnail and I, TV hit Pie in the Sky and, more recently, on stage and screen in Alan Bennett's much-celebrated coming-of-age hit The History Boys as teacher Hector, a role which won Griffiths a host of awards, including a Tony and an Olivier. 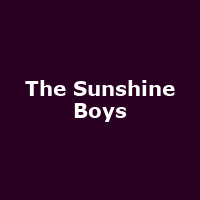 The Sunshine Boys at the Savoy Theatre previews from 27th April until 16th May, and booking until 28th July 2012. We have tickets available now, priced from £25 to £53.50 for previews and £29.50/£58.50 for the remaining dates. The limited 12-week run includes matinée performances, so be sure to double-check show times when booking. Demand for tickets is very high, so do not delay in booking those seats. If you do get tickets, remember to switch your mobile phone off. Richard Griffiths halted one performance of The History Boys after an audience member's phone rang no fewer than six times. Griffiths ordered him from the theatre. You have been warned.